for $315,000 with 2 bedrooms and 1 full bath, 1 three quarter bath. This 1,185 square foot home was built in 1986 on a lot size of 0.11 Acre(s). 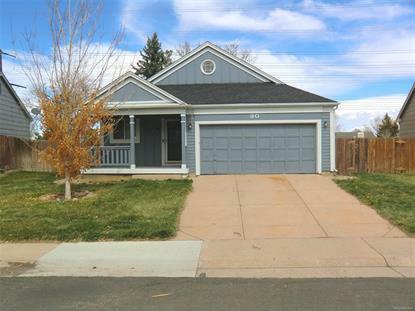 Come soon to see this super-cute house in a great location & neighborhood! Just move in & enjoy as the current owner did many improvements including a new kitchen with upgraded cabinets, "soft close" drawers, granite counters, under-mount sink, pendant lights, newer appliances, more! The entry & living room feature beautiful hardwood floors, custom paint, vaulted ceilings, & decorating niches! The master bedroom has a large closet & door into full bath with upgraded tile floors, tub, & shower, newer vanity, sink, lighting, & fixtures! The basement bedroom has an egress window plus access to the 3/4 bath & laundry/utility room. Enjoy summer evenings relaxing on the large front porch! Or escape to the private back yard for bbq's on the spacious deck backing to the greenbelt! Just one block to the park with picnic areas, playground, soccer & baseball fields! Just 3 blocks to community pool for summer fun! Hurry! !